The Organisation and Working Practices of Brass- Engraving Workshops in Pre-Reformation England. Much that has been written and said about brasses over the past fifteen years has been concentrated on stylistic analysis. Published work has focused on the identification of the products of individual workshops through analysis of their distinguishing features and on the documentary evidence relating to the craftsmen. 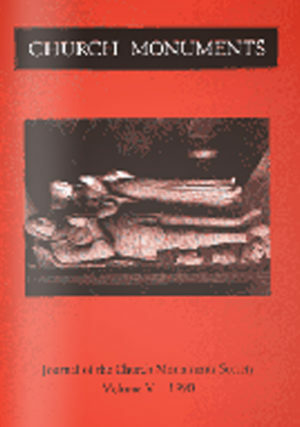 However, these studies also provide information about how the monumental brass industry was organised and about the working practices employed, though little has been written specifically on these aspects. This paper attempts to fill the gap by surveying the evidence available to date and comparing and contrasting the practices apparently employed in different parts of the country and at different times. Jon Bayliss: Richard Parker "The Alabasterman". By the beginning of the sixteenth century, Burton-upon-Trent had established itself as the centre of the alabaster tomb industry in England. 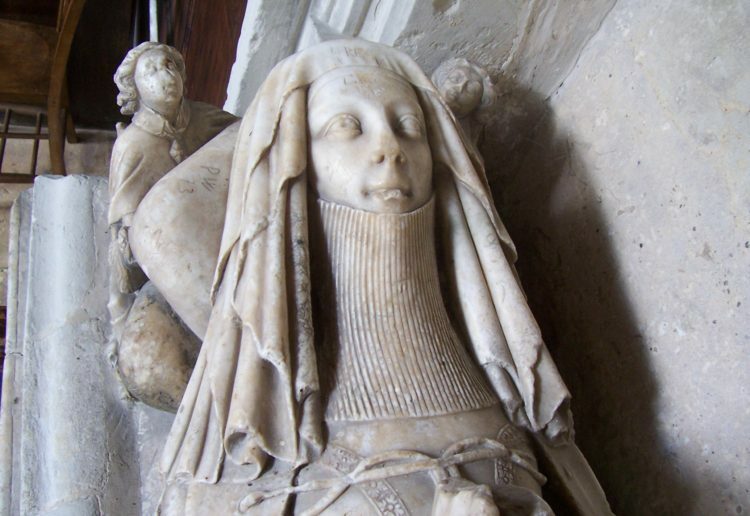 Although an alabaster tomb could be ordered from a Nottingham workshop as late as c. 1495, work of the first three decades of the sixteenth century in a recognisable Burton style can be found throughout England and Wales. For a talented young sculpture working in Burton in 1530, the future must have looked very bright. Yet, when that same sculptor died in 1570, the Burton tomb industry was left in the hands of incompetents and it was only the arrival of a Netherlandish refugee in the mid-1580's that saved it from extinction in face of a revived challenge from Nottingham. The aim of this paper is to trace the career of Richard Parker from the 1530's to 1570, looking at both his life and work. Jean L. Wilson: Holy Innocents: Some Aspects of the Iconography of children on English Renaissance Tombs. Examines the use of the palm to indicate association with Holy Innocents. Also roses and other flowers. Considers infant’s tombs in 16 & 17C. John Lord: A Pugilist's Monument: The Parkyns Tomb at Bunney, Nottinghamshire. Ilene D. Lieberman: Sir Francis Chantrey's Early Monuments to Children, and Neoclassical Sensibilities. Looks at monument to Marianne Johnes 1815 formerly at Hafod, Cards, and the Robinson children at Lichfield. Discusses role of Thomas Stothard and influence of Thomas Banks’ Boothby monument at Ashbourne Derby on the Lichfield tomb. Also examines influence of James Northcote’s painting of the murder of the princes in the Tower exhibited 1786.